Situated in a lovely wooded area about one mile from the lodge are 26 deluxe year-round vacation cabins. They are all made with handsome wood-paneled walls, stone fireplaces and forced air furnaces for year-round comfort. Each cabin has a bath with shower and is completely furnished. Cabins at Blackwater Falls are completely furnished for housekeeping. They must be reserved for a minimum of one week during the summer, beginning the second Monday in June through Labor Day. Before and after the summer season, cabins may be rented by the day, two-day weekend or longer. Please call 1-800-CALL-WVA and we'll be glad to assist with your plans. The 65-unit tent and trailer campground has individual sites with centrally located hot showers, Laundromat and dumping station. A total of 30 sites have electric hookups. The campground is open with a maximum camping period of two weeks. 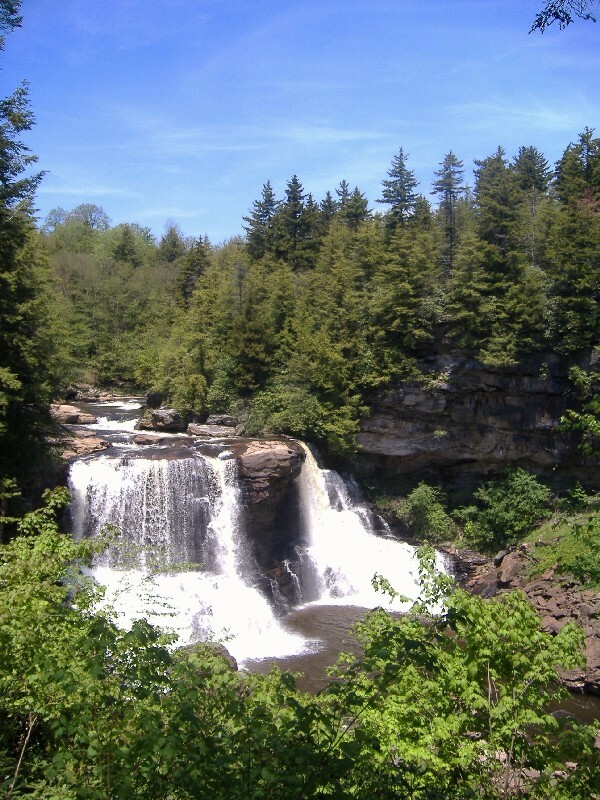 Reservations are accepted for 20 of Blackwater Falls' campsites from Memorial Day through Labor Day. In addition to the usual fee, a handling fee will be charged. Your advanced reservations will be secured with VISA, Master Card, American Express or Diners Club. Reservations are recommended during summer months. Please call 1-800-CALL-WVA, M-F/ 8am-4pm,and we'll be glad to help you with your plans. * One tent or camping unit per site. Accommodates up to 140 for a wedding reception, allowing room for dancing. Divides into two rooms - Harr East & Harr West at 28' X 51.5 each. Slide projectors, overhead projectors, flip charts, screens, TV/VCR units, telephone and internet access, standing lectern with microphone, table top lectern and risers are all available for use. The park offers over 20 miles of hiking trails. Map and trail guides are available which will assist guests in planning a hike of the right length and duration. The park naturalist offers a variety of programs on the park's natural and cultural history. Also, programs and tours can be arranged for groups. These are available year round. 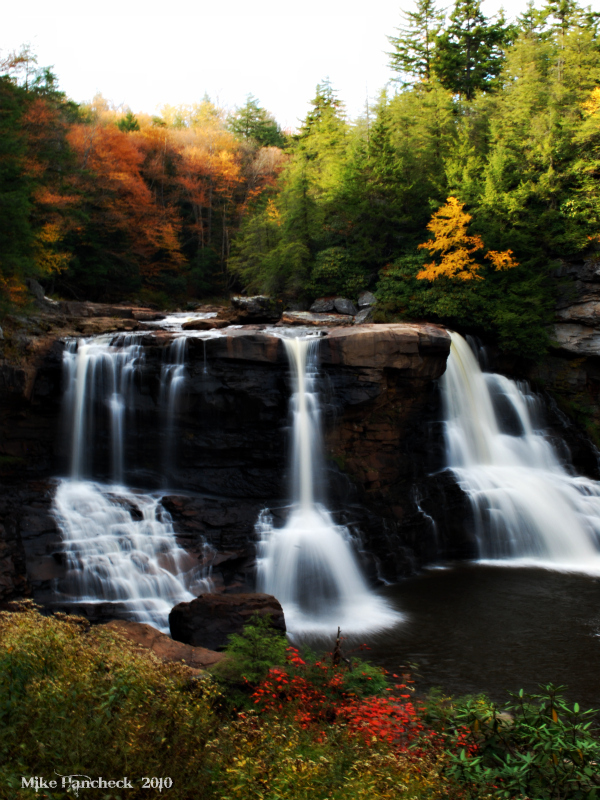 Call ahead to 1-800-CALL-WVA and ask to speak to Blackwater Falls Naturalists. Elakala Falls - The waters of Shay Run reach the Blackwater Canyon's edge and cascade down the canyon's wall as Elakala Falls. 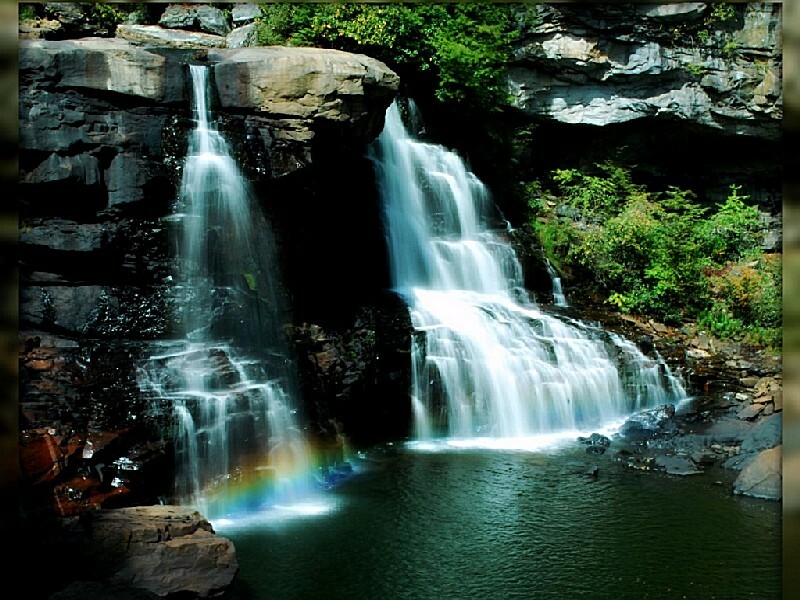 A short walk along the Elakala Trail from the Lodge will take hikers over the upper section of Elakala Falls. 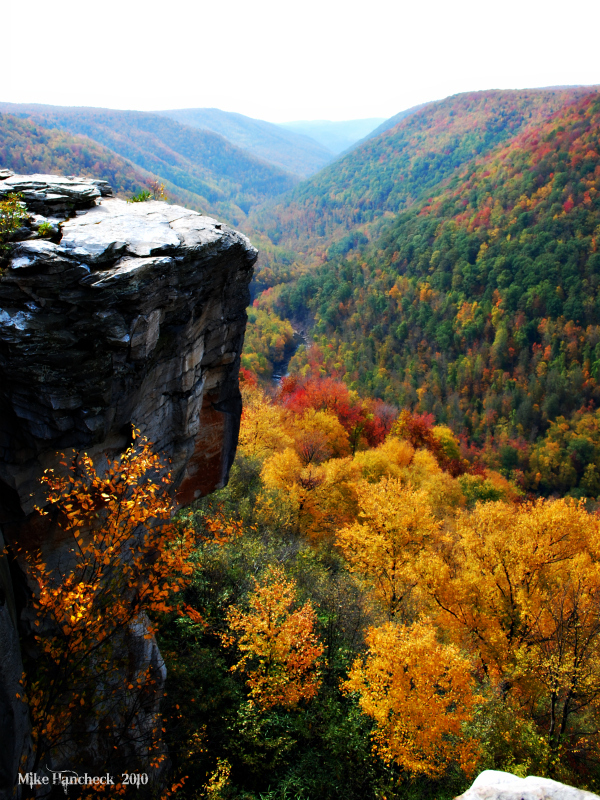 Lindy Point - 45 acres of pristine mountain views into the Blackwater Canyon provide one of the one of the most famous views in all of West Virginia. Pendleton Falls - Pendleton Falls can be viewed at a roadside pull-off about one-half mile from the Lodge. Like Elakala, these Falls are the cascades of Pendleton Run coming from the park's swimming and boating lake. Pendleton Point Overlook - A view of Blackwater Lodge and Blackwater Canyon can be enjoyed from this vantage point. This is the canyon's deepest and widest point. 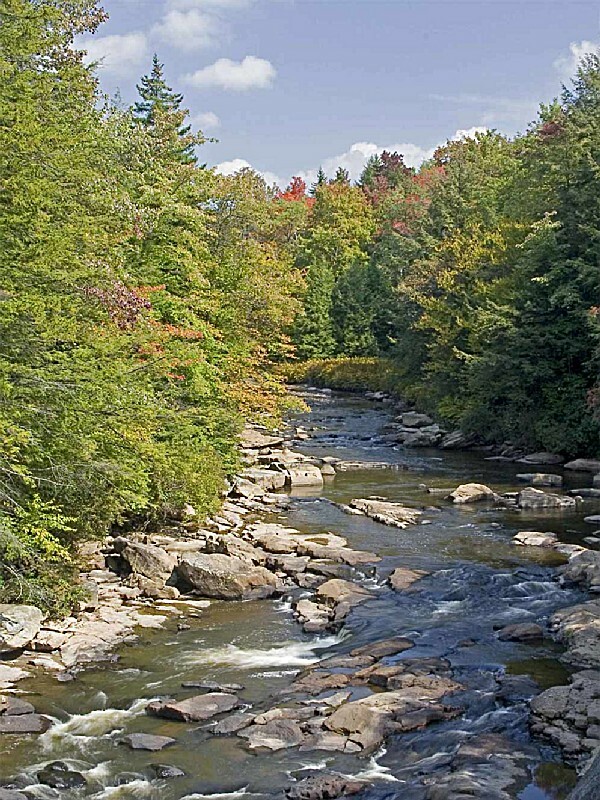 Blackwater River - scenic and wild river that runs through the heart of Blackwater Falls State Park. My wife and I have enjoyed staying at the State Park Lodges for many years. We like Blackwater lodge and facilities because they are so beautiful and quiet. We come to wv five times or more a year from Michigan. 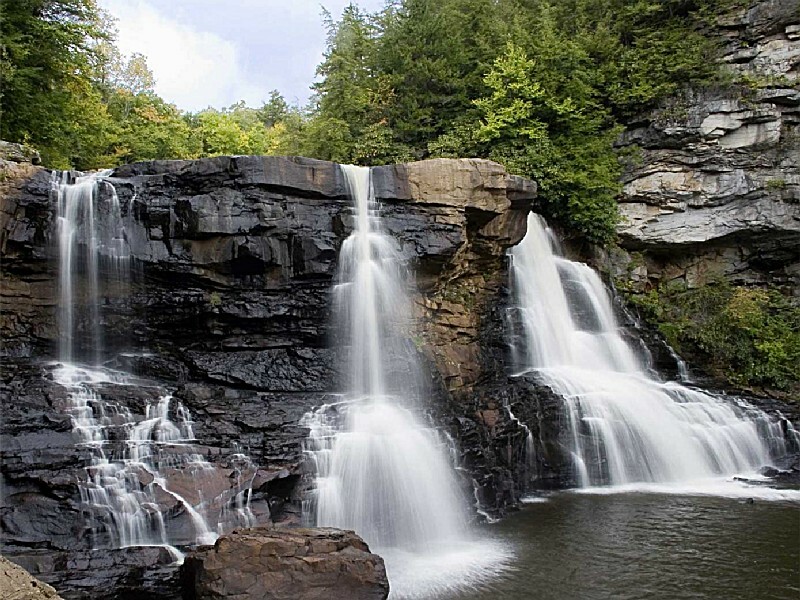 Our favorite place to be....black water falls. 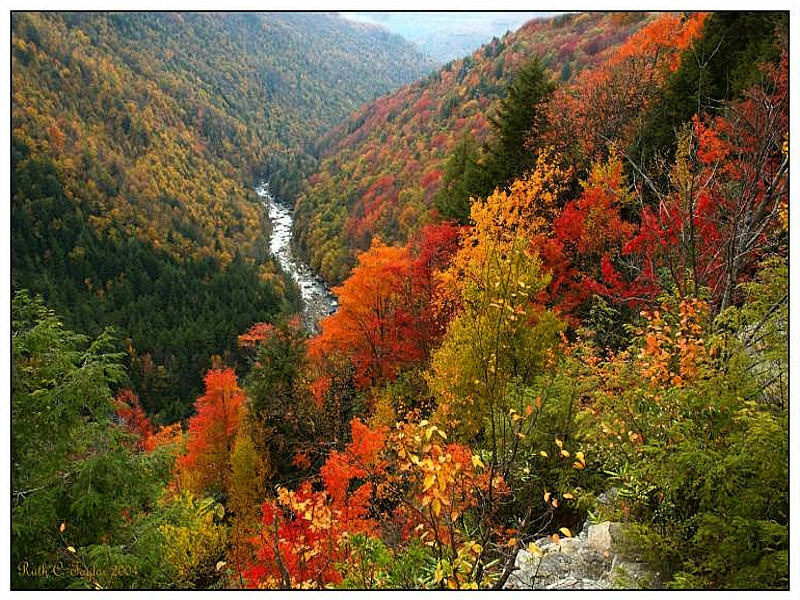 I grew up in Tucker County. We had our 1962 Senior Class Prom in the Lodge. It was wondrous! 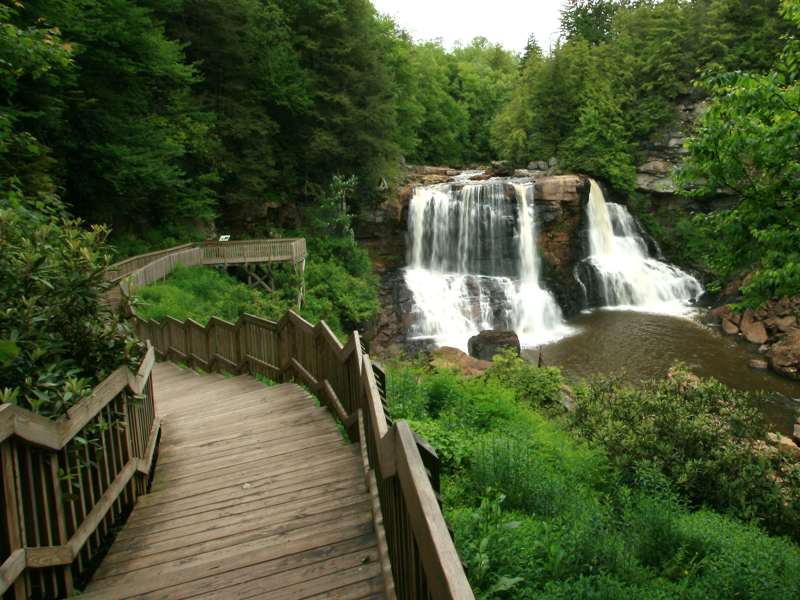 We are spending the summer here and have taken all our visitors to the Falls, the Lodge, Lindy Point, Pendleton Point. It is just spectacular! From Charleston and Central West Virginia:Take I-79 N. to Rt. US 33 E at Weston. Follow 33 E to Harman WV, then take 32 N to Davis, WV. From Northern Virginia:Take I-66 W to I-81 S near Strasburg VA. Follow I-81 S a short distance to the exit for Rt. 55 W. Stay on 55 W through Petersburg to Harman, WV. At Harman take Rt. 32 N to Davis, WV. Alternate Route form Northern Virginia:Take I-66 W to I-81 N, then Rt. 50 W until it intersects with Rt. 93 W. Follow Rt. 93 to Davis, WV. From Baltimore & Washington, DC:Take Rt. 70 W to I-68 W at Hancock, MD. Follow Rt. 68 W to 220 S at Cumberland, MD, to Rt. 50 W at New Creek, WV, to junction of Rt. 93 W to Davis, WV. Alternate Route From Baltimore & Washington, DC:Same as above except stay on I-68 W past Cumberland, MD, to 219 S. Follow Rt. 219 S through Oakland , MD, to Thomas, WV. At Thomas, take Rt. 32 S to Davis, WV. From Pittsburgh, PA:Take I-79 to Morgantown, WV, then I-68 E to Rt. 42 S at Friendsville, MD. Follow Rt. 42 S to Rt. 219 S. Stay on 219 S through Oakland, MD, to Rt. 32 S at Thomas, WV. Take Rt. 32 S to Davis, WV. From Richmond ,VA:Take I-81 to Harrisonburg, then take Rt. 33 W to Harman, WV. At Harman, take Rt. 32 N to Davis, WV. From Columbus, OH:Take I-7o E to I-79 S. Stay on I-79 S to Morgantown, WV. At Morgantown, follow I-68 E to Rt. 42 S, Friendsville, MD. Follow to Rt. 219 S through Oakland, MD, to Thomas, WV. At Thomas, take Rt. 32 S to Davis, WV.